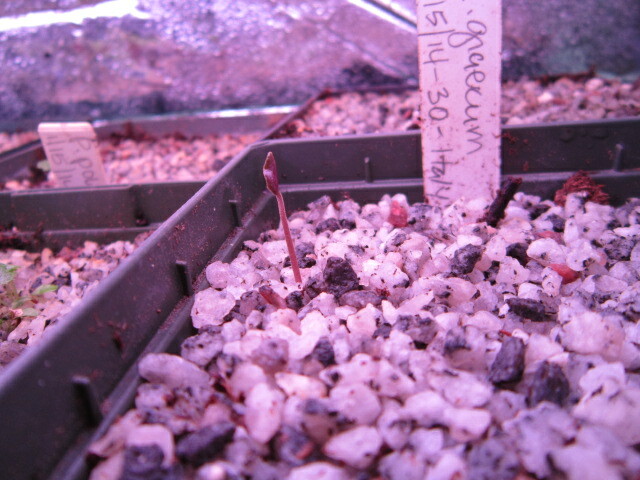 A newly sprouted Cyclamen graecum seedling. I got the seeds for these from a member of one of the plant groups I belong to either the Hellebore group or Trillium group. He offered an assortment of seed to the members who had something interesting in trade. Most of his seed was wild collected so it should be interesting to see what comes of these. My adventures playing in the dirt. I live on a small lake in Vermont with mostly shade to garden in hence, my love of all plants for shade. I am fanatic seed-saver and grower with my tiny nursery area taking over as I try to grow more & more plants. This is where I work! See what were talking about! Talker. Scribbler. Digger. Let's Rock and Roll about Plants. This blog gives information on our unique Irish Primrose varieties and their history and uses. Notes from a Shetlander who loves to knit using pure Shetland wool. Here I plan to share some of my latest creations. a wonderful place to gather, learn, shop and hang out!